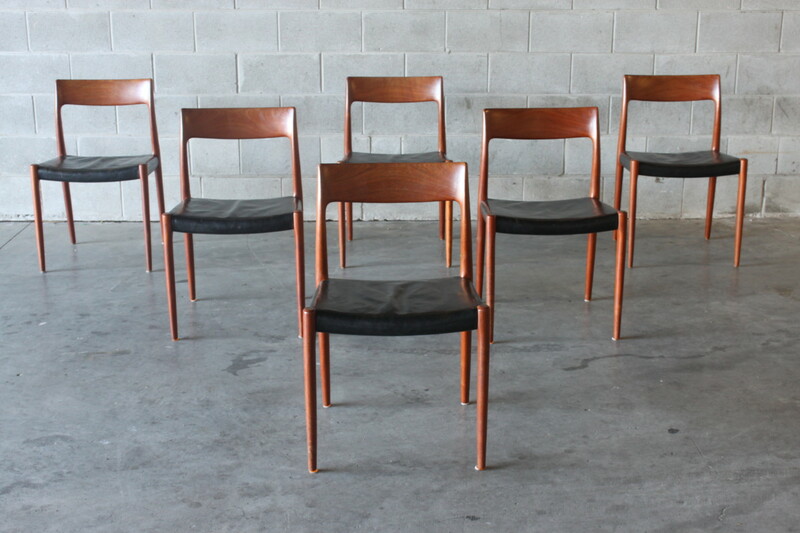 A lovely set of six dining chairs made of teak and covered in original leather. 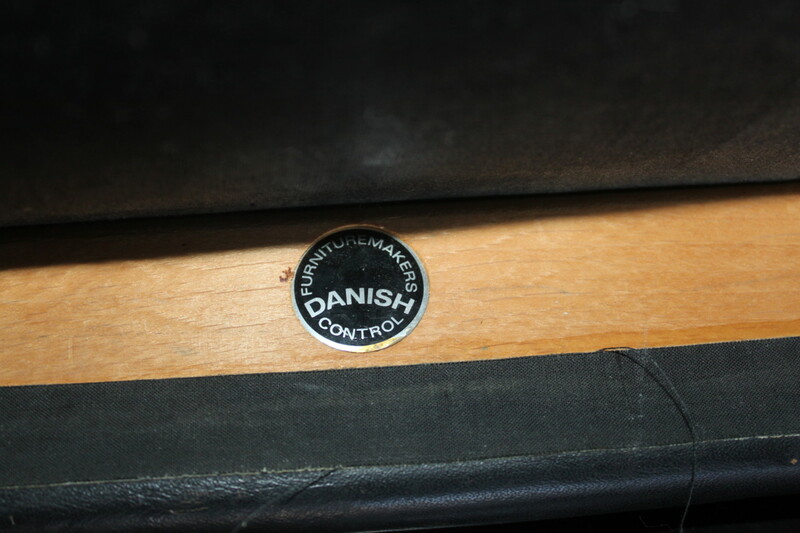 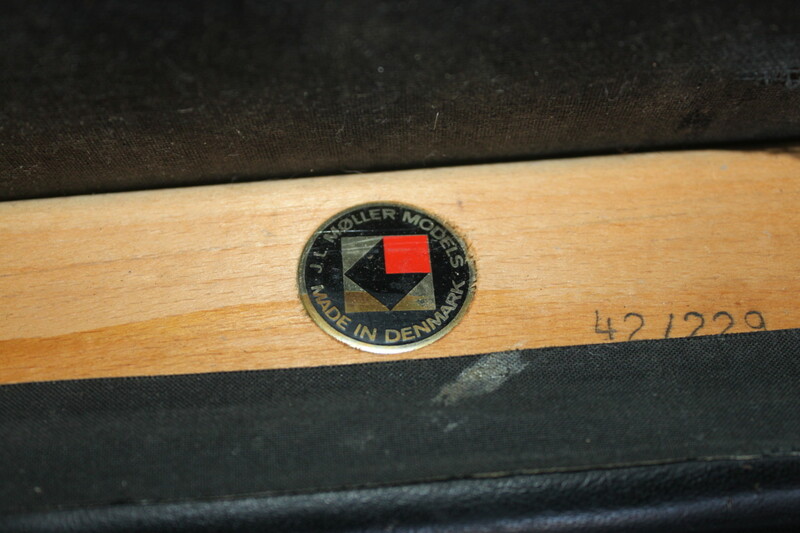 These were designed by well known Danish designer Niels Moller and after 50 years of usage are still solid as a rock. 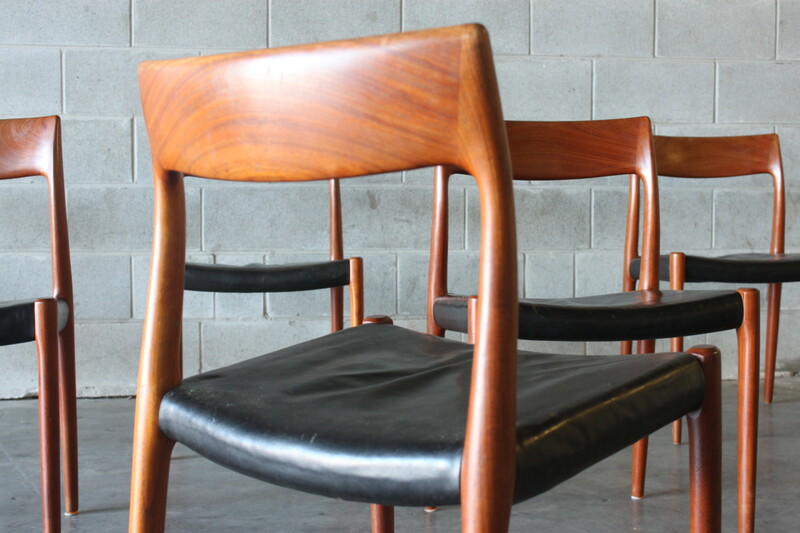 The vintage chairs present well with age related patina and no rips or tears in the leather and no loose joints or repairs. 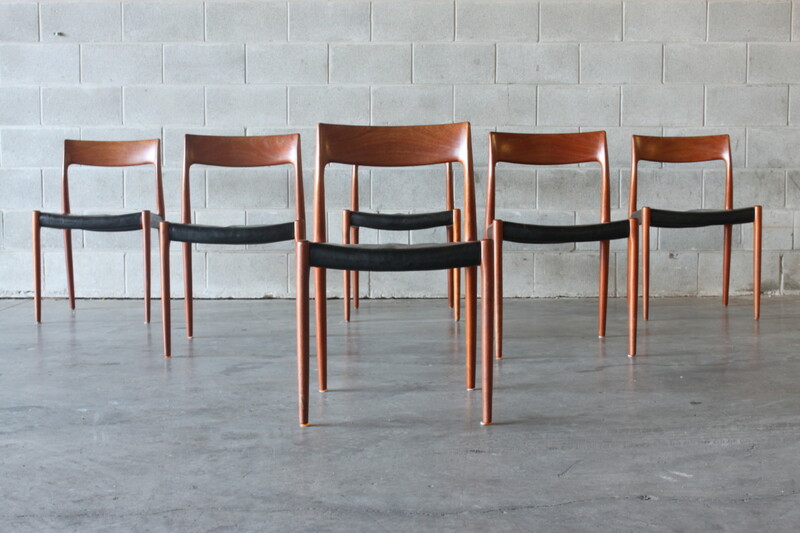 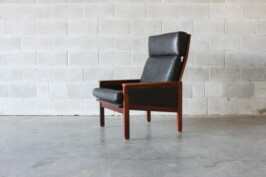 This is a collectible set with original leather and all chairs are in excellent order. 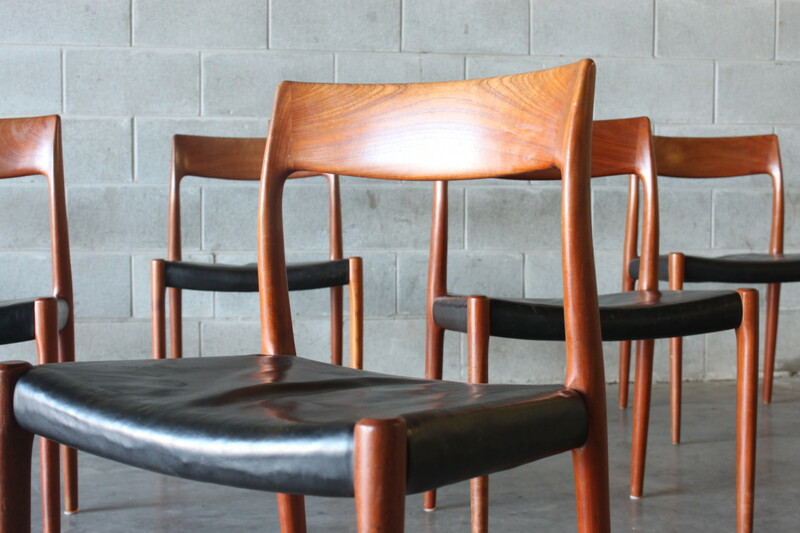 Pair this up with our teak Severin Hansen dining table for the perfect suite.